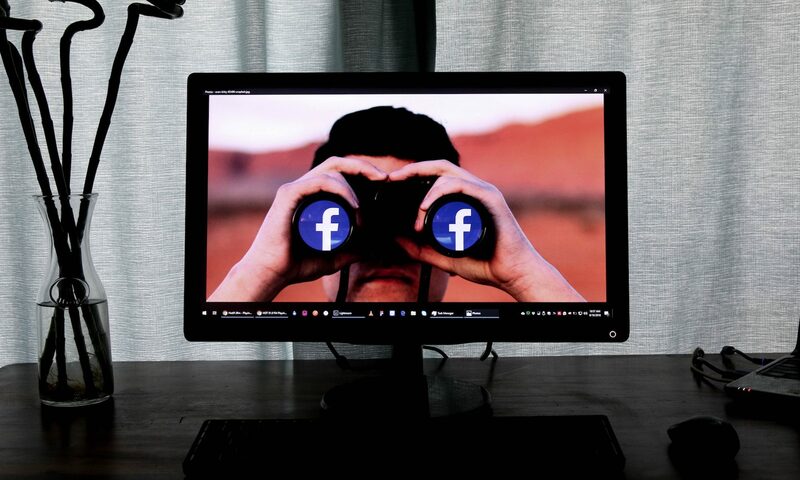 In a recent announcement, Facebook has removed the option to post on personal profiles, a change that affects the way marketers manage employee advocacy on Facebook and the way advocates share content from Oktopost to Facebook. Alternatively, Facebook recommends using a native component called the Share Dialog. In this article, we’ll share some best practices for using the Facebook Share Dialog, alongside a few tips for enhancing your Facebook employee advocacy program. 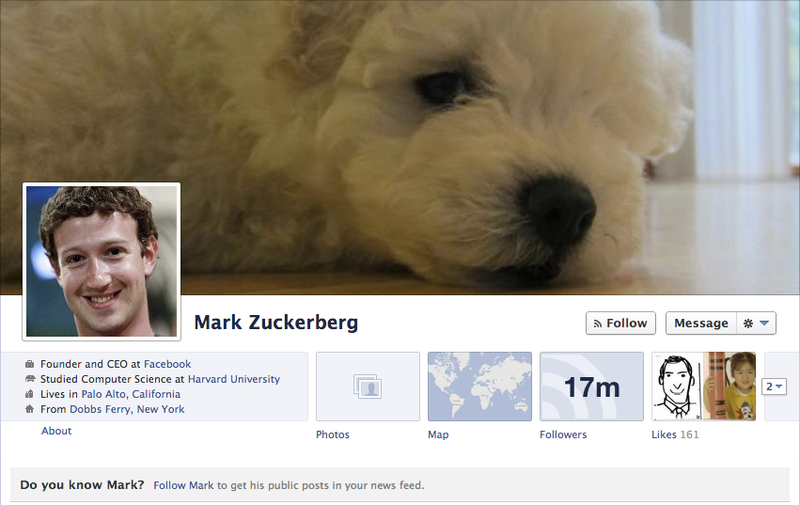 The Open Graph protocol was initially introduced by Facebook to allow website owners to share rich media objects. In the past several years this protocol has become standard and is widely used across the web. In July 2017, at the height of its war on fake news, Facebook has decided to remove the ability to edit link previews, stating that the integrity of the content is a serious concern, and introduced the domain verification process shortly after. The domain verification process enables verified website owners to overwrite the link metadata when posting link attachments from social publishing apps to their Facebook Page. When crafting content for advocates to share on Facebook, we often rely on content that we share on our Facebook Page. 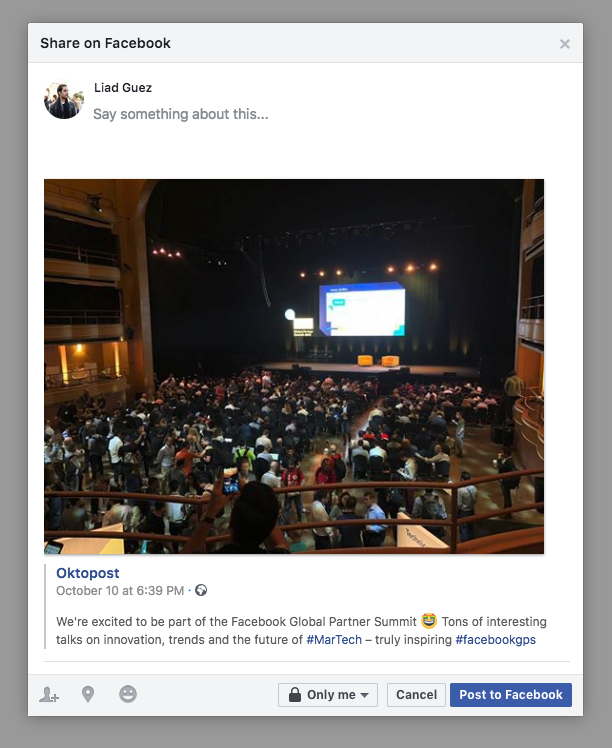 If you create a Facebook message with a link and edit the preview, the modified version will appear on your Facebook Page, but not in your advocates’ feeds. So to ensure that your advocates can share compelling content, make sure that open graph meta tags are set up correctly on every link that you share on the board. You can also use the Facebook Sharing Debugger to verify the URLs before sharing them on the board. 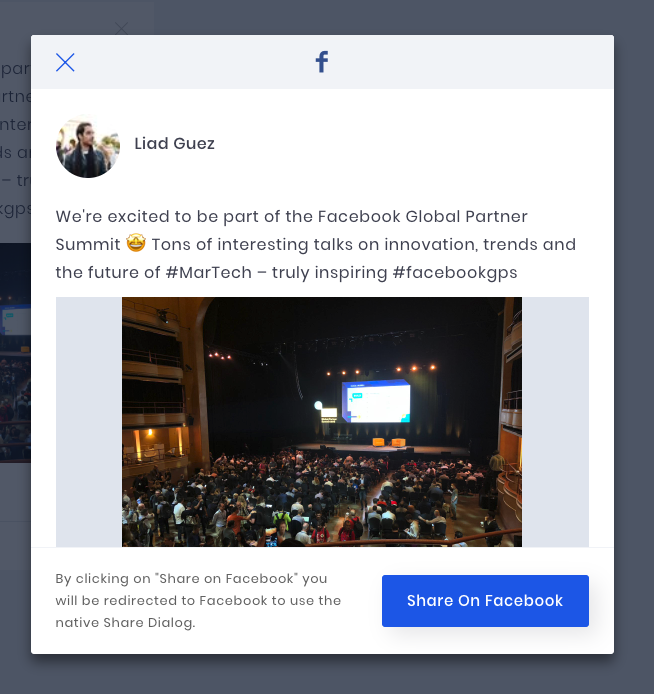 The Share Dialog is a native Facebook component. Whenever you “Share” a post on Facebook, it opens the Share Dialog, and although it’s limited to sharing links only, you can share links to other Facebook posts with it. When an advocate shares a link to a Facebook Page post, it will count as a native share. That helps you not only by exposing the content to new audiences but also by boosting the post’s native reach. There is another reason this is particularly useful: it allows you to overcome the Share Dialog’s limitation and post rich media content directly from your Facebook Page. By posting to the Advocacy Board links to videos and photos that were already shared, you will enable advocates to share rich media content, instead of just link previews. Here is how it works. 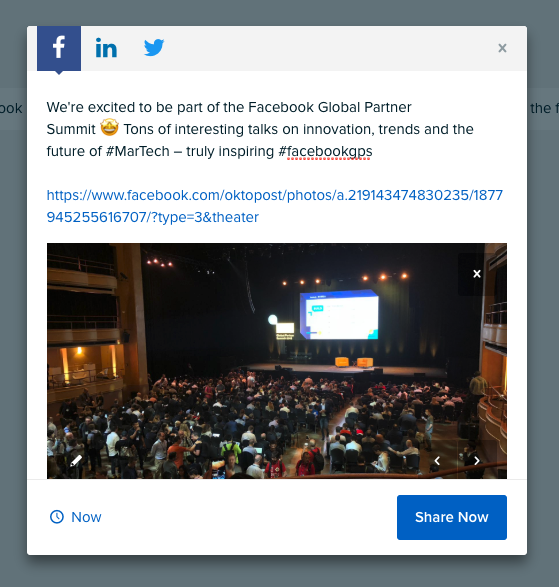 First, copy the URL of the Facebook post that you want your advocates to share and paste it into the message console in Oktopost. When your advocates see the message on their board, they will be able to click on it and share it using the Share Dialog. Here is how the Share Dialog looks like when sharing a post with an image attachment. Once the advocate shares the message, it will count against the native shares on the platform. Learning from the recent Twitter Automation Policy and Facebook API changes, the social networks frown upon sharing duplicate content and are starting to encourage users to generate original content. The case is no different with the Share Dialog. You will no longer be able to create messages for advocates, but you will be able to recommend those messages to them. While writing a message takes more time than just clicking “share” on a pre-written message, it also ensures that your advocates share original content, tailored specifically for their friends, connections, and followers. That’s why we recommend investing a bit more in training employee advocates to understand the importance of sharing original content and providing them with tips and tricks on how to share engaging content on Facebook. By turning on Follow, employee advocates can share industry-relevant content with their audiences without overwhelming their close friends and family. Enable Follow – Go to your Account Settings on Facebook, click on the Followers tab and check the box to allow followers. Fill out your timeline – Make sure your profile looks professional: add a cover photo, update your title and work history, key career milestones, and life events. Post to your followers – Any post that you share from the advocacy board and set to Public will be shown to your followers in News Feed. We know that this will probably take a bit of getting used to; however, it’s important to keep in mind that this change packs hidden benefits both for you as marketers and for the advocates themselves. Using the Share Dialog will not only ensure that advocates can share rich media content but also boost the native shares from your Facebook company page. Encouraging your advocates to develop their voice on social media has the potential to turn them into thought leaders who are deeply committed to advocacy. All in all, these changes can open up new opportunities and even enhance the performance of your employee advocacy program.